At a time when the place of computer technology in the modern world is rapidly evolving, the curriculum in the Department of Computer Science & Robotics fosters the technical proficiency that will enable our students to use and produce computer technology and its applications effectively. To this purpose, the sequence of skill-based courses is continuously adapted in accordance with current advances in technology. The primary focus of the curriculum, central to the pedagogy of our courses at all levels of instruction, remains the development of skills and habits of thought that will enable our students to apply computer technology in an effective, precise, and ethical manner. During their journey from Nursery to the Upper Division, students will be able to experience an introduction to the intellectual enterprises of computer science, robotics, and the art of programming. Nursery and Kindergarten students are introduced to computer technology through Bee Bots, programmable insect-shaped floor robots. Students control their Bee Bots by taking simple programming steps, using directional language to create tasks and activities. In Kindergarten, students use computers and apps such as Osmo Coding to acquire basic navigational, operational, and creative skills. Teachers concurrently reinforce basic curricular elements such as letters, numbers, and mathematical concepts. The Computer Science & Robotics curriculum in the Lower Division encompasses programming as well as a general range of topics related to use of the computer and the Internet, including proper use of the computer technology and online resources that the school makes available to students for the purposes of research and collaboration. 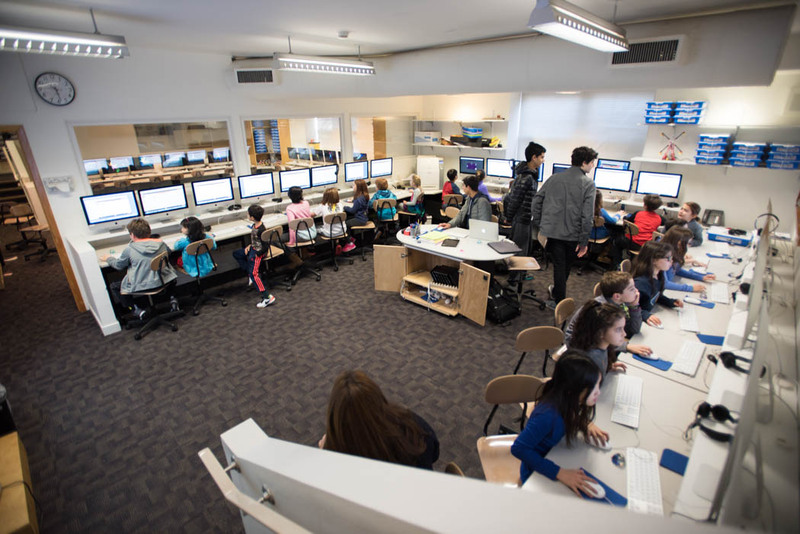 Topics include Internet safety, Web search and research techniques, as well as the use of Google Docs, the FirstClass email system, and the School’s databases. Students in fourth and fifth grade learn aspects of individual and collaborative block-based programming using the programming language Scratch. They also work with hardware by learning how to use Makey Makey to build and program in class projects. Students are also able to build more advanced projects in their own Maker Space located next to the Computer Science classrooms. 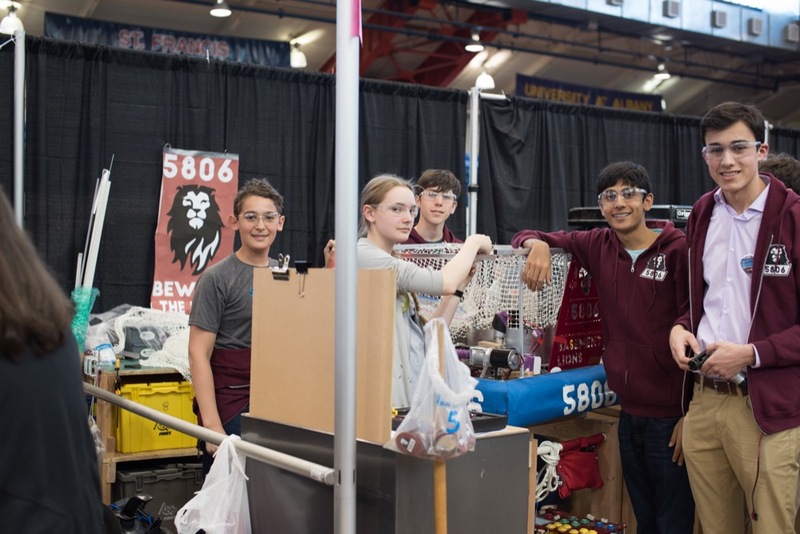 In the Middle Division a three-year sequence in Robotics is focused on mechanical design, construction, programming, and the importance of cooperation and teamwork. The one-trimester courses also reinforce age-appropriate computer use, including skills mastery, and the responsible and ethical use of technology for interpersonal communication. Students learn to navigate and manage shared resources in a networked environment. The Upper Division curriculum covers a broad range of elective courses on topics from robotics, engineering, HTML, and Java to advanced courses in Computer Science. All students complete a required half-credit course on principles of Computer Science. Elective course offerings include Introduction to Computer Science, Introduction to Engineering & Robotics, Computer Science 2, AP Computer Science with Data Structures, and AP Computer Science Principles. The AP courses prepare students for the current AP Computer Science exams offered by the College Board. In addition, they cover the material equivalent to the college courses CS1 and CS2. The APCS with Data Structures course uses the Java programming language and covers the study of algorithms and data structures including linked lists, sets, maps, queues, stacks, trees, and hash tables. The ethical use of technology and online privacy issues are addressed throughout the curriculum in both AP courses.